We had zero trouble covering the movie adaptation of the comic R.I.P.D. this summer. Jeff Bridges and Ryan Reynolds have been hilarious in the trailers we’ve seen. The movie hit theaters July 19th, but (whether you’ve already seen it or not) how would you like the chance to see the movie for free? Universal Pictures is giving us the opportunity to award one lucky winner (who isn’t me, DRATS) a $100 Visa gift card to go see the movie (invite your friends!) 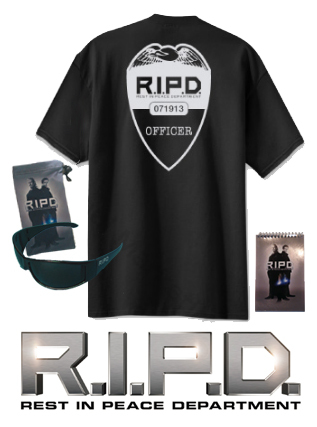 plus a bunch of cool gear including a t-shirt, sunglasses with microfiber cloth and a notepad. Check them out! 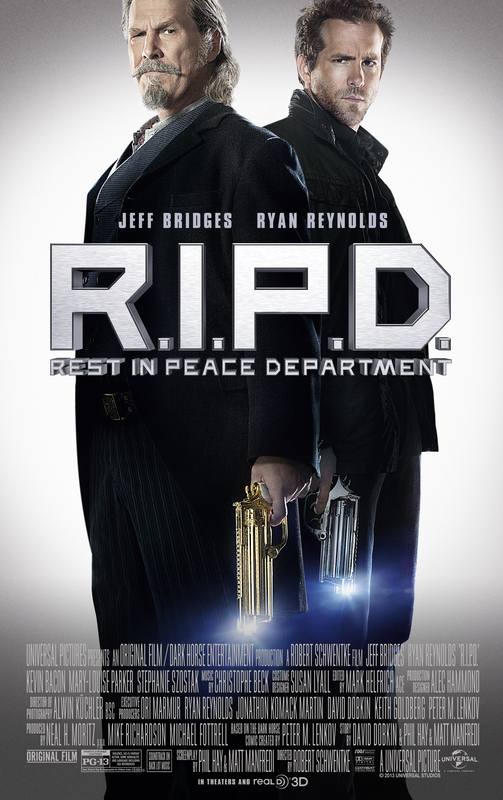 Jeff Bridges and Ryan Reynolds headline the 3D supernatural action-adventure R.I.P.D. as two cops dispatched by the otherworldly Rest In Peace Department to protect and serve the living from an increasingly destructive array of souls who refuse to move peacefully to the other side. Once the wise-cracking Roy is assigned former rising-star detective Nick Walker (Reynolds) as his junior officer, the new partners have to turn grudging respect into top-notch teamwork. When they uncover a plot that could end life as we know it, two of R.I.P.D.’s finest must miraculously restore the cosmic balance…or watch the tunnel to the afterlife begin sending angry souls the very wrong way. R.I.P.D. is directed by Robert Schwentke (Red) and produced by Neal H. Moritz (Fast & Furious series, I Am Legend), Mike Richardson (Hellboy, Hellboy II: The Golden Army) and Michael Fottrell (Fast & Furious series, Live Free or Die Hard). How to Enter: (Sorry, U.S. entries only) Head over to our contact form by clicking HERE, choose “Contest Entry” from the ‘Reason For Contacting‘ drop down box and enter the title of this article, along with your valid shipping details in the message section (if you don’t enter the article title and your full name and shipping address [No P.O. Boxes], your entry will be invalid). One winner will be chosen at random from all entries received.Entries will be accepted until 11:59pm EST Monday, August 6th, 2013 – at which time, the winners will be chosen and will be notified via email within 24 hours. Limit one (1) entry per person and per email address for the duration of the Entry Period. Multiple entries received from any person or e-mail address will be void. Entries generated by script, macro or other automated means or which subvert the entry process are void. Entries will be accepted until 11:59pm EST Monday, August 6th, 2013. Entry is open to anyone in the US only (13 and older). This contest is void where prohibited by applicable law. Winners may be required to sign an affidavit of eligibility as a condition to the delivery of the applicable prize. Employees and their immediate families/household members of scifimafia.com and their respective parent companies, affiliates, and subsidiaries are not eligible to enter the sweepstakes. No purchase necessary. To enter, submit all required information listed under “How To Enter” above. All entries must include the entrant’s name, a valid email address and shipping address (no P.O. Boxes) for any potential prize shipments. The first and last name provided by online entrants will be the identity of the entrant and, if selected for a prize, the identity of the winner(s). We reserve the right to disqualify any entries that we believe in good faith have been generated by a so-called spam or automated e-mail program or via scripts and automated submission. By participating, all entrants agree to abide by these rules. Representatives of SciFiMafia.com will select entrants at random who meet the entry requirements to win the prize(s). In the event of a dispute regarding the identity of the person submitting the entry, the entry will be deemed to be submitted by the person in whose name the email account is registered. The decisions of scifimafia.com are final and binding in all matters relating to this contest/giveaway. Winners will be notified by email and/or telephone, as determined by scifimafia.com or its affiliated contest host and may be publicly announced via scifimafia.com and related properties. If a winner is found to be ineligible, an alternate winner may be selected from the pool of eligible entries. There is a limit of one entry per person per email address. Duplicate entries will be void. All entries become the property of scifimafia.com and will not be returned. An entrant or winner may be disqualified from the contest/giveaway if he or she fails to comply with each provision of these official rules, as determined at the discretion of scifmafia.com. SciFiMafia.com shall not be liable for: 1. Failed, returned, or misdirected notifications based on inaccurate information provided by the winner on the entry form, 2. Entries, and responses to winner notifications that are lost, late, incomplete, illegible, unintelligible, or otherwise not received by the intended recipient in whole or in part or for computer or technical error of any kind, 3. Any electronic miscommunications or failures, technical hardware or software failures of any kind, lost or unavailable network connections, or failed, incomplete or delayed computer transmissions which may limit an entrant’s ability to participate in the contest, 4. Any technical malfunctions of the telephone network, computer online system, computer equipment, software, program malfunctions, or other failures, delayed computer transactions, or network connections that are human, mechanical, or technical in nature, or any combination thereof, including any injury or damage to entrant’s or any other person’s computer related to or resulting from downloading any part of this contest or 5. Any warranty of fitness or merchantability of any prize or the function or operation thereof, which shall be the sole responsibility of the manufacturer of the prize. 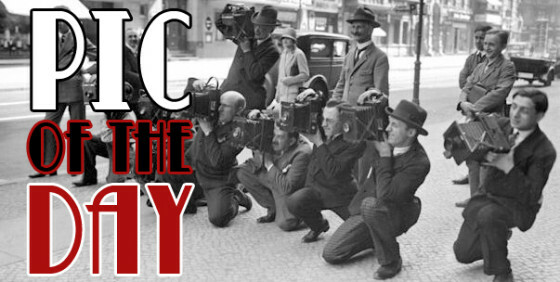 Unless prohibited by applicable law, entry constitutes permission to use an entrant’s name, address (city and state) and testimonials in all media, in perpetuity, in any manner scifimafia.com deems appropriate for publicity purposes without any further compensation to such entrant. By entering or accepting a prize in the contest/giveaway, winners agree to be bound by these official rules and to conform to all federal, state, and local laws and regulations. 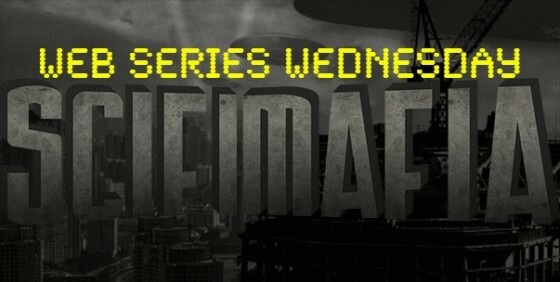 When applicable, the winner will be required to execute and return to scifimafia.com within five business days an affidavit of eligibility and a liability and publicity release to be eligible for the prize or an alternate winner will be selected. Winner(s) may be required to furnish proof of identity, address, and birth date in order to receive prize. By entering, an entrant agrees to release and hold harmless scifimafia.com, and their parent, subsidiary, and affiliated entities, directors, officers, employees, attorneys, agents, and representatives from any damage, injury, death, loss, claim, action, demand, or other liability (collectively claims) that may arise from their acceptance, possession and/or use of any prize in their participation in this promotion, or from any misuse or malfunction of any prize awarded, regardless of whether such claims, or knowledge of the facts constituting such claims, exist at the time of entry or arise at any time thereafter. Any person attempting to defraud or in any way tamper with this sweepstakes/contest/giveaway will be ineligible for prizes and may be prosecuted to the full extent of the law. scifimafia.com reserves the right to modify the rules of the contest in any way or at any time. scifimafia.com reserves the right, in their sole discretion, to cancel or suspend this contest should viruses, bugs, or other causes beyond their control corrupt the administration, security, or proper play of the contest. This contest shall be governed by Florida state law. By participating in this contest, entrants agree that Florida courts shall have jurisdiction over any dispute or litigation arising from or relating to this contest, and that venue shall only be in Florida.